This is a preview of the 50th masterclass at Multimedia Journalism: A Practical Guide and it’s a little different to the preceding 49. It’s about something that some people deny is journalism at all. They say it’s just PR or marketing under another name. 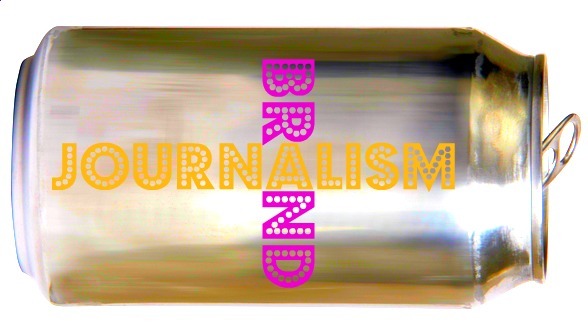 But what exactly is brand journalism? You can read a definition of brand journalism in this module. In other modules we'll look at how to do it, something of its history - how brand journalism has developed as a discipline - and the cases for and against it as a valid branch of journalism. Here I want to say why I’m doing this. My reason for covering brand journalism is rooted in two realities. One is the dire state of employment for journalists with traditional publishers and broadcasters. The other is the way brands are using social media to communicate. And how they are using journalists, or non-journalists using journalistic techniques, to do so. And as everything I’ve done under the Multimedia Journalism banner over the past two years has been about trying to equip journalism students for the world of work, and helping working journalists to gain the new skills they need to stay employed, I think we really must cover this new source of work. It seems to me pretty obvious that in the future many – perhaps most – journalists will be employed by brands. They'll be doing the stuff journalists have always done, and which we are best at, but instead of being employed by a media brand, they'll work for some other sort of organisation. I use 'brand' as an umbrella term to encompass any organisation, any charity, any pressure group or cause; any manufacturer, retailer, wholesaler; any branch of public service from the police to army to education to social services; any politician or political organisation, group or campaign at every geographic level; any profession, any trade. All of them will be using what I’m calling brand journalism, but which can also be called content marketing, to communicate, as appropriate, with their existing and potential customers and clients; with those who support a cause or who they’d like to persuade to do so; with whatever communities they represent or serve. I don’t think most journalists are ready for it. We are still too hung up on the idea of PR and marketing as the dark side – as the place old journalist go to die when their careers are over. We need to rethink. This masterclass is my attempt at beginning to do that. It's also written from a desire to see a debate about brand journalism. In the UK, the Leveson Inquiry into press standards is causing a fundamental rethink of how journalists operate, and how media companies, governments and other institutions intereract. It's likely to lead to stricter regulation of the press; to the establishment of standards of behaviour that have been sorely lacking within some sections of the media. I'd like to see a parallel debate on the emerging world of brand journalism. Maybe we need a powerful new code of ethics and conduct, perhaps enshrined in law, to regulate all journalism, including brand journalism. I'd like the debate around brand journalism to be rooted in the reailty that, like it or loath it, jornalism performed on behalf of brands, corporations, charities, causes, governments and many others is expanding exponentially. We need to understand what is happening. Brand journalism, its practice, and its impact is a very big - and very important - subject. For that reason I’m writing a book about it. I'd like that book to be as fully informed as possible, and I invite you to tell me what you think about the subject. You’ll find a note about the project, and how to get in touch, at the end of this masterclass. I've been commissioned by Routledge to write a book on Brand Journalism, with a companion website. 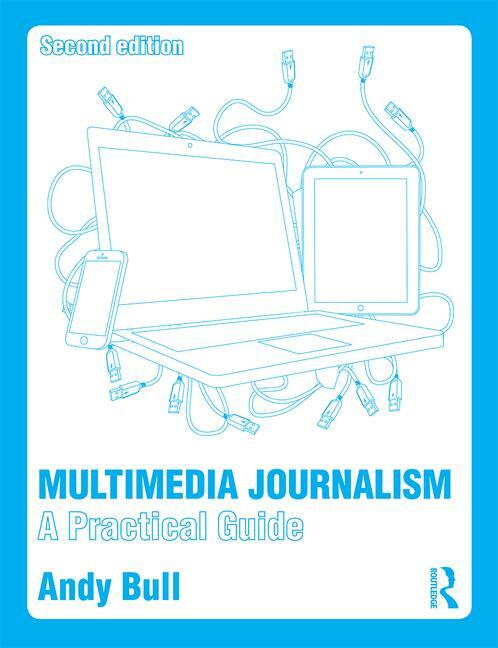 The book will be a companion volume to Multimedia Journalism, which deals with essential journalism skills. It won't duplicate the learning programme of MMJ; rather it will move up to the next level and demonstrate how to apply those skills to brand journalism. It will also demonstrate to journalists, marketers, PR professionals, brand managers and others how to develop and implement a brand journalism strategy. It will be highly practical, packed with examples of how brands, organisations, charities, public bodies, campaigns, causes and many more entities are doing brand journalism in ways that are appropriate to them. If you have any thoughts or comments, or would like to contribute to the project in some way, please contact me, Andy Bull, via the buttons on this site, or DM me @andybull on Titter. I'm looking for case studies of brand journalists, and examples of brand journalism in action.